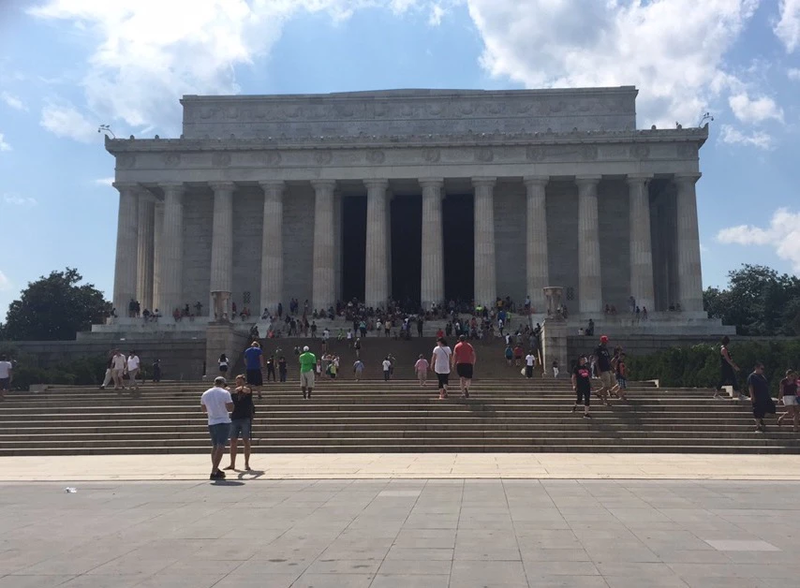 Washington DC was on my bucket list and since I was in Baltimore for a few days, I knew we had to carve out some time to see all the historical monuments. I don’t know what it is but I find buildings, statues and anything symbolic so fascinating. 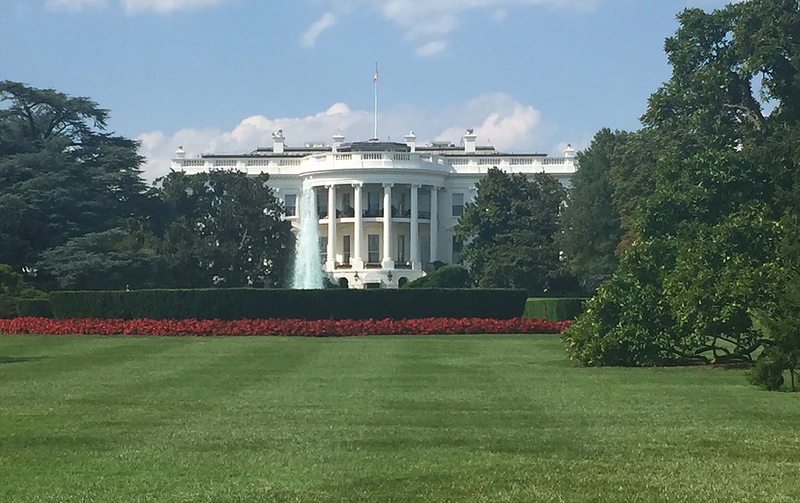 I never thought I would see the White House though, I just didn’t see myself visiting the states in the area. Luckily I did though, because it was an amazing site to see. 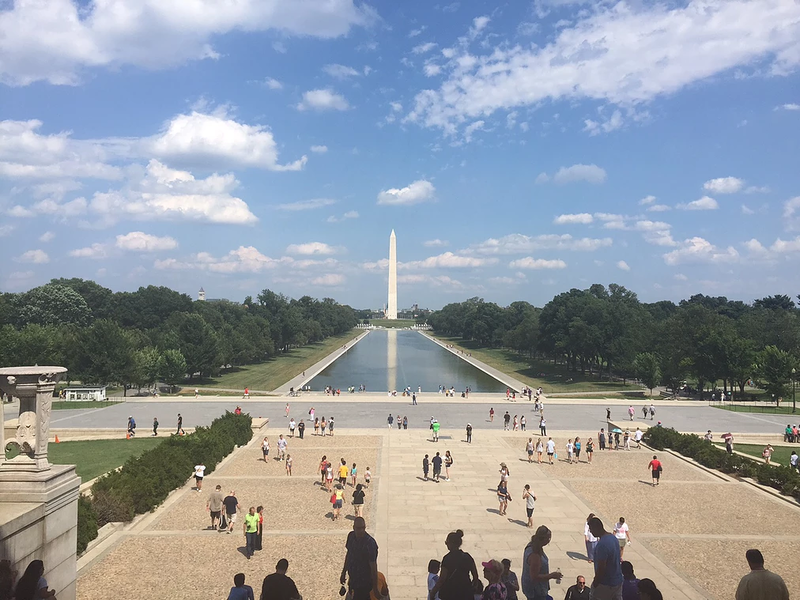 There is a huge fountain right in front of the Washington Monument that has every state in the United States listed and the water truly sparkles in the sunshine. Since we came in the beginning of August, it was outrageously humid. 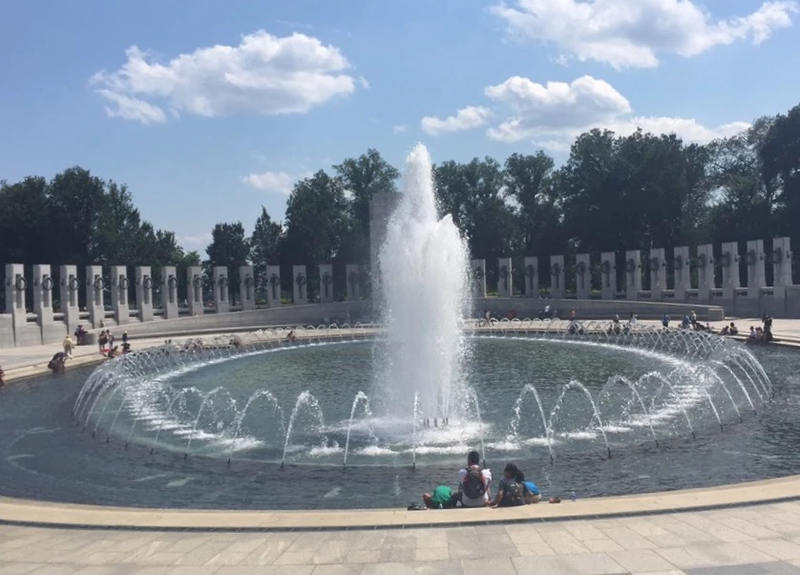 The fountain was a good spot to be since it sprayed water in the air. 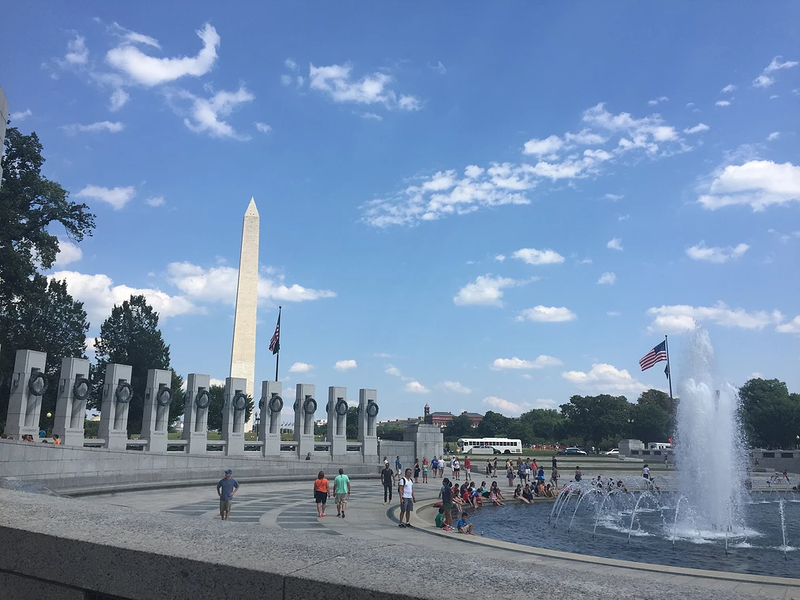 Note to self: Don’t go to DC in the end of summer. Between the heat and sweating like crazy, we decided we needed to sight see a little quicker than normal. Next stop: Lincoln Memorial. The path leading up to it was long, but luckily shaded. 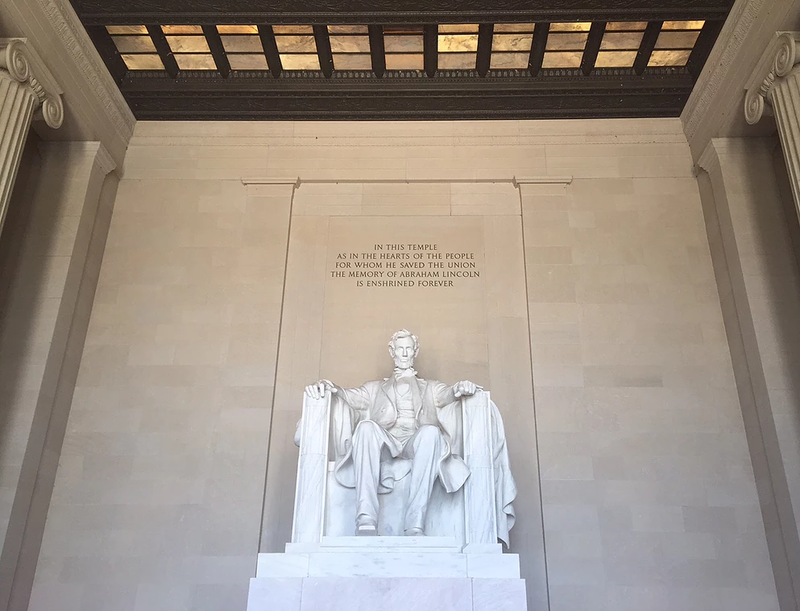 The Abraham Lincoln statue was way bigger than I had expected and the reflecting pool was stunning. It was just like in the movies. Last stop before we went back to Baltimore was of course, the WHITE HOUSE! The walk was pretty close but felt so far away in the heat, so the brave soul that I am thought it would be a good idea to pour my whole water bottle on my boyfriend… Let’s just say my hair was no longer straight. My whole head was drenched in water and officially curly (my natural hair). It wasn’t that bad though, it was actually a little refreshing and before we knew it we were in front of the White House. Absolutely breathtaking. Of course you can only get so close but seeing it in person is so much better. Is it bad that in the first couple moments I only thought of Olivia Pope and the President standing on the porch? The definition of a Scandal fan. DC was one of a kind and something I’ll never forget.